Relax! You're at the Track Stop! This is a place where you can slow down and browse for a minute. Get a cup of coffee and relax. Hold off on the intense reading for a while and just look at some train stuff for fun. Maybe you’ll see something you’d like for yourself or for a friend or family member. Or... TRADE IN YOUR OLD STUFF! Or, SEARCH for something specific at Amazon - They have EVERYTHING! Even if you don’t buy anything, I hope you have fun just looking around. Any time that you want to just relax a bit and do nothing but mindless browsing for a while, we'll be here for you. Take your time. Then, when you’re ready, get back to the layout! You’ll feel better - Refreshed and ready to tackle the next challenge. 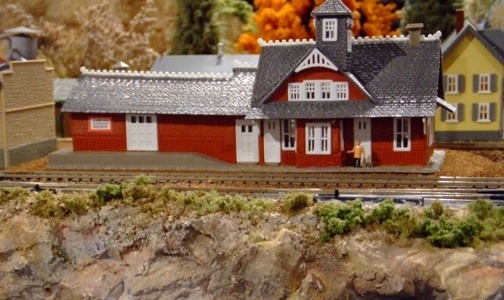 Huge inventory of model railroad supplies available for purchase through this website. Many if not most of us who are interested in model railroading got started because we received a train set as a gift usually around the Holidays. Many of us have fond memories of that first American Flyer or Lionel running around the oval under the tree. Why not create that same fond memory for someone else? 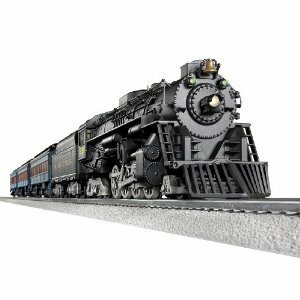 Click on the link above to find a great deal on a new train set that would be the perfect gift for the Holidays! Start your own blog or website!! My other hobby is Photography. I love to take pictures of anything and everything. I mostly like to take artistic pictures of nature. One of our favorite things to do as a family has been to travel to the Blue Ridge Mountains and Shenandoah area during the fall and bring back some great photos. I also like to visit railroad museums and train stations whenever I can and take pictures of prototypical trains. I can use the same camera to take great pictures of my layout at home. The best digital SLR I have ever used is the Canon Rebel 3Ti. The newer versions are even better. The ease of use, fast shutter speed, affordability, multiple configurable features, and fantastic clear, sharp pictures with great color rendition makes this SLR camera my favorite of all time. The best point-and-shoot camera out there in my opinion is the Panasonic Lumix of which there are multiple versions. I have the DMC-FZ300, which has so many bells and whistles, I haven't even learned them all yet. Want to take great pictures of your layout? Do you need any photo equipment for your next rail fanning adventure? Check out the Track Stop Photography Store!!! Great Hobby Tools from Amazon! From "Track Stop" to "Homepage"